Superfood Saturday: Why Quinoa is King! Superfood Saturday: GO GO GO Goji Berries! Superfood Saturday: Say Woot for Yacon Root! What’s Astragalus Root and why in the world is it in Shakeology®? 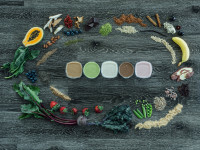 Get the latest Shakeology news delivered to your inbox.